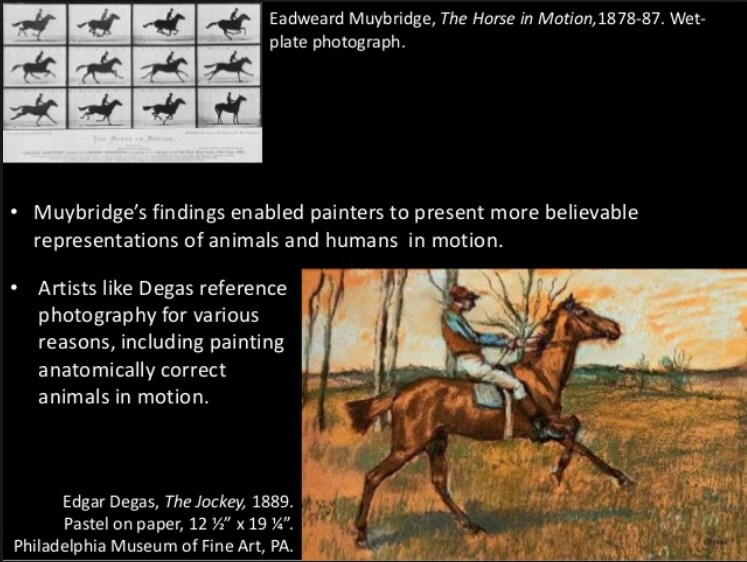 Kenney Mencher: Some of Degas' paintings with the photos he painted them from. 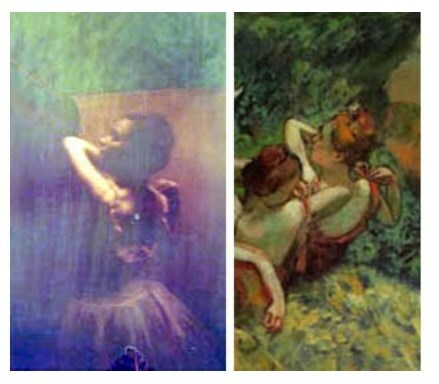 Some of Degas' paintings with the photos he painted them from. I remember thinking it was kind of interesting that I saw in a video and then read in a couple of books how much Dégas use photographic reference material. 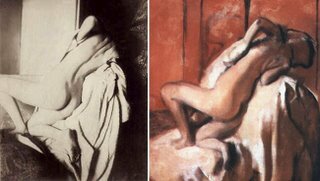 In fact, something that I don't like to admit that I do, which is I use projected images to establish the drawing, it turns out that Dégas did that all the time. 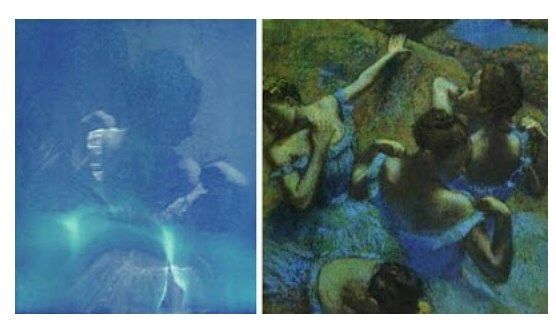 Dégas would actually take the negatives and put them in a "lantern style projector" them onto the canvas and sketch it out.